If you’re a B.C. high school boys basketball fan who slips into a nostalgic stupor upon simply hearing the name ‘Rainmakers’ then we’ve got good news for you. While they are no longer the Prince Rupert Rainmakers, rather the Charles Hays Rainmakers, precious little else has changed about the northwest B.C. program which was old school before the phrase was ever even coined. And based on the way they played this past weekend, losing to Quad-A No. 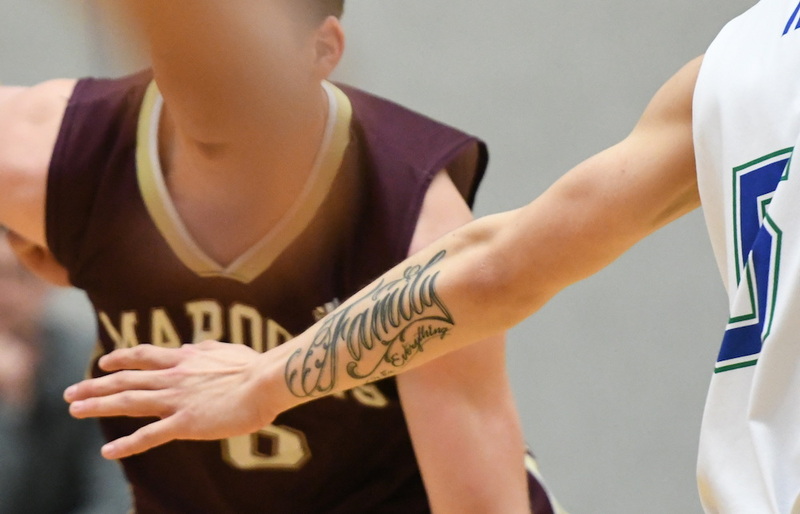 2 Terry Fox 84-80 en route to a second-place finish at the prestigious Vancouver College Emerald tournament, B.C.’s No. 1-ranked Double A team is a solid favourite to win the city’s first B.C. senior varsity title since longtime head coach Mel Bishop guided the then-PRSS squad to first-place finishes at the provincial Double-A championships in 1998 and 2001. The original-vintage Rainmakers, of course, were the first team from outside of the Lower Mainland-Fraser Valley-Vancouver Island power base to win the B.C. title, capturing the 1964 crown under head coach Norm Vickery in what was then a single-tiered province. And while every facet of our lives have changed in the 55 years since those Rainmakers would tackle the surrounding forests and hills to do their training runs, perhaps no team in the province has remained closer to its roots than the one hailing from the north coast’s port city. Consider that there are only two gymnasiums in town, and that each year, when summer break arrives, all those with keys to the gymnasium at Charles Hays are required to turn them in. 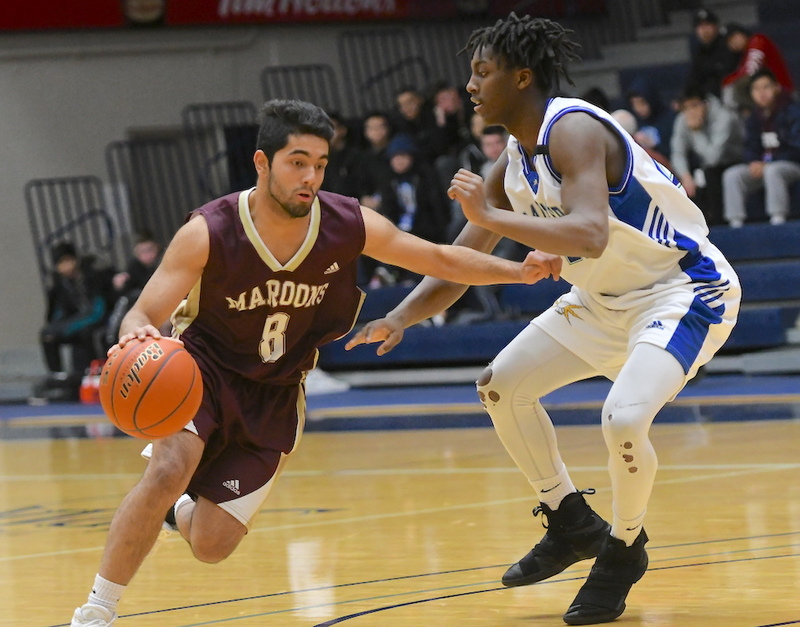 With that, the doors remained locked until that first Tuesday after the Labour Day weekend as the city’s prime basketball-playing real estate is cut in half. Yet if it’s easy to see the negative side, there is also a positive one. Think about that for a second, a high school team testing its mettle daily, for an entire summer, against seasoned players, grown men. “If you’re taking it to the rim, you do so not expecting to have a foul called,” continues the NCAA Div. 1 Utah State-bound McChesney, 17 and one of the greatest talents the city has ever produced. It’s like stepping into the fire and it’s built a level of toughness that has helped the Rainmakers start their season with a 15-2 record, including two wins over current Quad A No. 6 Kitsilano and another over former Quad-A No. 1 and current No. 7 Lord Tweedsmuir. Actually, they just put in a lot of time together. Period. You’ve no doubt heard the stories of upcountry teams and their travel nightmares? Well, the Rainmakers have not been exempt. Last season, wanting to get in some action prior to the start of Northwest Zone playoffs, Charles Hays had scheduled a Thursday-Friday twin-bill (Feb. 8-9) at Prince George’s Duchess Park Secondary. The team boarded a train on the Wednesday morning prior, but it soon became delayed just outside of the city when a tree hit a break line and brought them to a halt for a number of hours. Then, at about 11 p.m. that night, things ground to a halt again near Endako as another train became stuck on the midline. This time, however, it was more than a matter of waiting a couple of hours. It’s all part-and-parcel of being a Rainmaker. And oh by the way, after all the travails of their travel, the Rainmakers beat the then-No. 6-ranked AAA Condors 88-81. 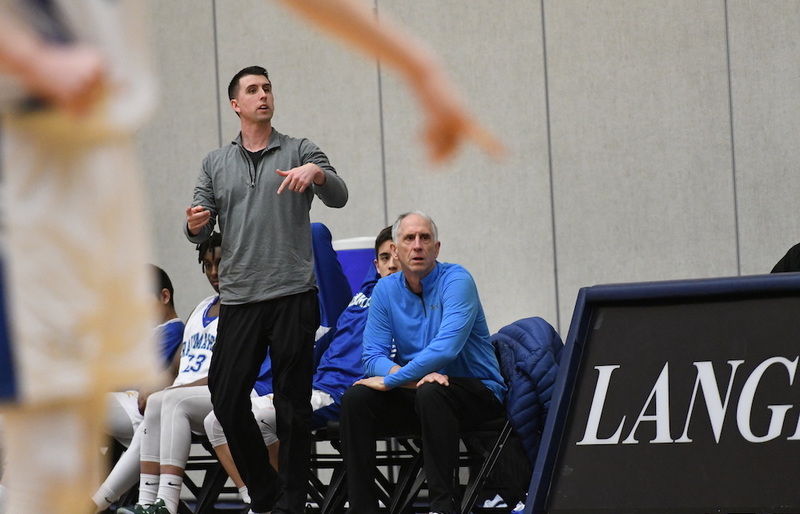 The Rainmakers’ results at last weekend’s Vancouver College Emerald tournament are perhaps the most remarkable series of performances in the B.C. boys high school game all season. Charles Hays is, of course, an excellent team. Yet they played only seven games against exclusive non-ranked competition over a span of 46 days from the time they lost to the Quad-A honourable mention Handsworth Royals Dec. 8 in the championship final of the Quinn Keast No Regrets tourney, until the week of the Emerald, which tipped off Jan. 24. Nonetheless, they scheduled a pre-tourney game on the way down in Chilliwack, beating No. 9 Triple A G.W. Graham 69-50 last Wednesday. 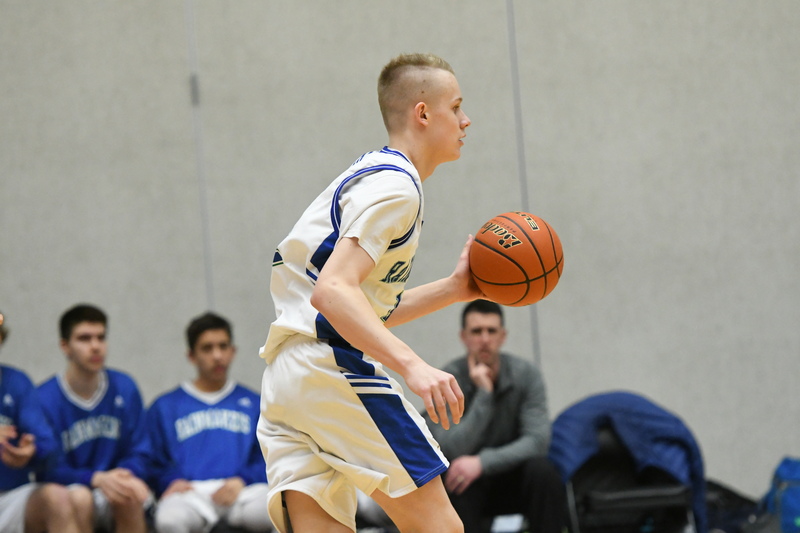 They then proceeded to beat Lord Tweedsmuir 89-60 and Kitsilano 88-69 before their four-point loss to Terry Fox in games Thursday through Saturday. How does a team that isolated from the mainstream power base of competition so ably maintain their edge after such extended periods of inactivity from actual in-game situations? Like we said right off the top, they define a very mature, old-school belief system. 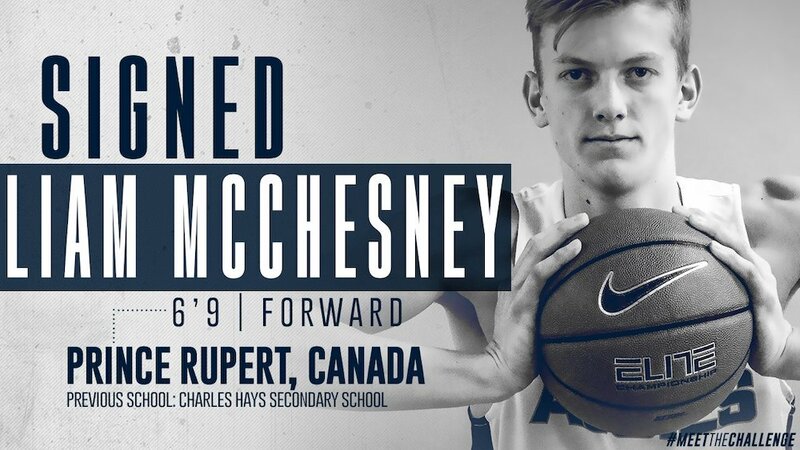 While McChesney’s vast talents (35 points-, 15 rebounds-, eight assists-per-game) have earned him the ability to test his skills against the best age-group talent in the world through his time this past summer with Canada Basketball’s Cadet team (a late groin injury during team camp in Mexico City forced him to miss a trip with the team to the FIBA World Basketball Cup in Argentina), the rest of the squad has simply made the best of everything available to them in their hometown. As simply as it can be stated, it’s a template that can work anywhere. This season’s team — featuring the likes of McChesney, Kai Leighton and Eric Lees — has taken another step forward from last season’s provincial tournament qualifier, a No. 4 seed which lost 91-80 to a senior-laden, No. 5-seeded Seycove Seyhawks team out of North Vancouver in the B.C. quarterfinals. “At the end of the day, it’s about having confidence in every single guy to put points on the board,” says Bishop. volunteered from the heart, by the team’s star player? 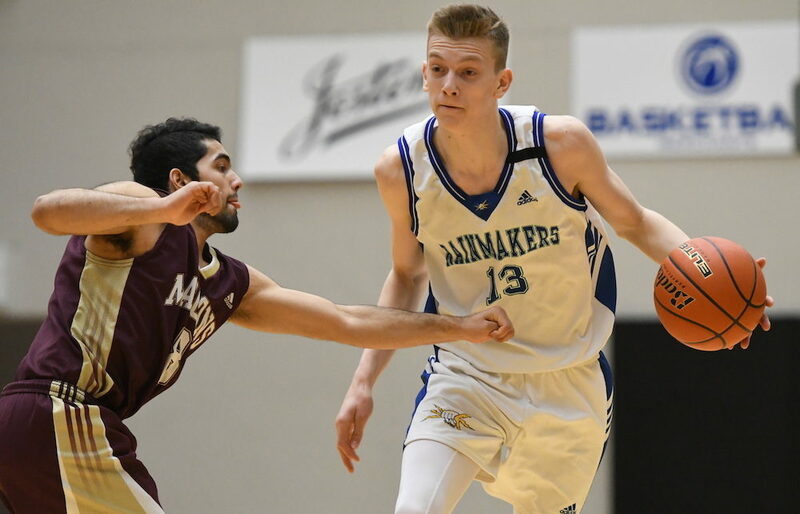 “We’re lucky that our coaches look at every single aspect of what it takes to make us better,” says McChesney, the younger brother of current UVic Vike Justin McChesney. Somehow, being a Rainmaker has always seemed to be just a little bit special.